Wherever you are in morocco, marrakech taxi transfer offers a variety of private Day Tours and Excursions.That covers all locations and tourist attractions in morocco. 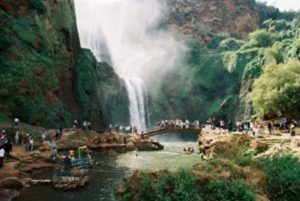 Therefore, we offer excursions to the top sightseeing tours in Essaouira, Agadir, Casablanca, Ouarzazate, Siti fatma, Imlil the haut atlas, Waterfalls of ouzou, the Valley of Ourika or both for a day tour or more. Essaouira Tours and Excursions Offer an easy access to many great Essaouira day tours. enjoy your day tour and stop to visit an Argan Cooperative and Take a guided tour of the harbor and 18th-century sea fort, You also can enjoy tours and explore the old medina with its colorful markets and jewelry quarter. Finally, enjoy free time to have lunch and browse the souks for souvenirs.and There are countless of things to do in Essaouira tours Day tours from marrakech to essaouira all the week it’s available.